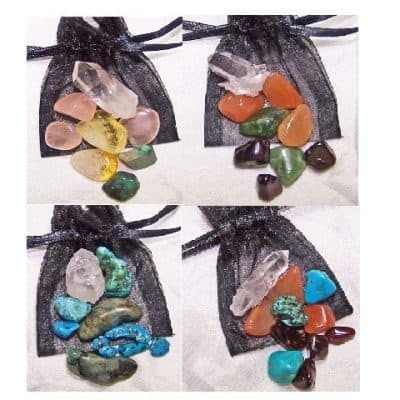 Halloween/Samhain Crystal Pouch: This kit includes 6 crystals associated with Halloween/Samhain, including, clear (crystal ball) quartz (for clarity and power), black hematite (for protection and grounding), moonstone (for psychic inspiration), dragon blood jasper (for perception and personal power), hag stone (for protection from witches) and carnelian (for pumpkins and Fall). It also includes our Bewitching incense Cones! The set also includes a black organza bag for storage. Halloween/Samhain Crystal Pouch: This kit includes 6 crystals associated with Halloween/Samhain, including, clear (crystal ball) quartz (for clarity and power), black hematite (for protection and grounding), moonstone (for psychic inspiration), dragon blood jasper (for perception and personal power), hag stone (for protection from witches) and carnelian (for pumpkins and Fall). 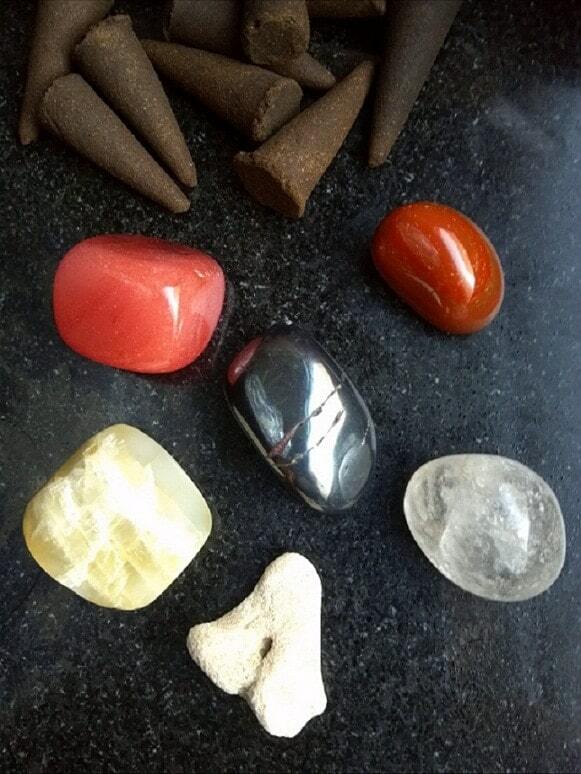 These beautiful, genuine crystals are all medium to large size and have been cleansed and blessed. 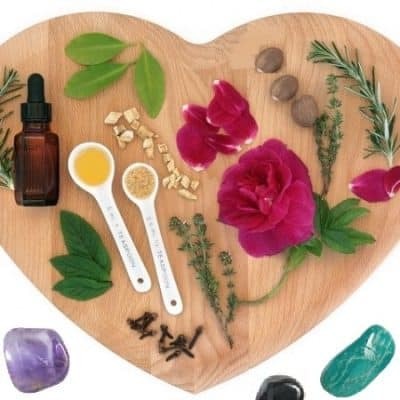 The set also comes with complete instructions for using, cleansing and working with these wonderful crystals. 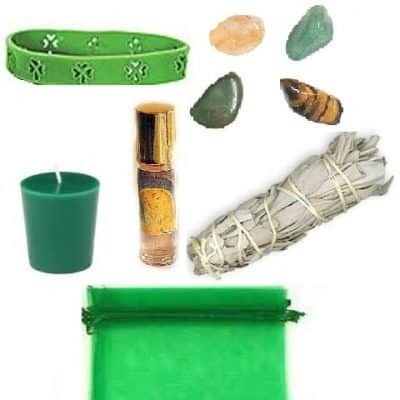 There is a great ritual for honoring our loved ones who have passed, a grounding and protecting meditation and great tricks and treats for using this kit. It also includes our Bewitching incense Cones! 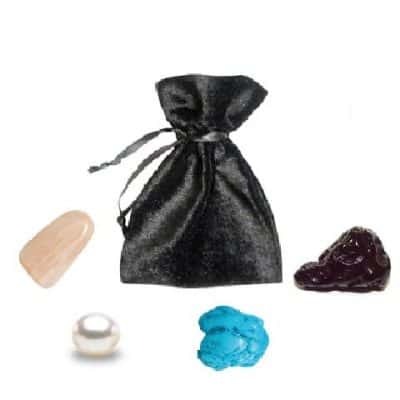 The set also includes a black organza bag for storage.